Ships tomorrow if you order in the next 17 hours 30 minutes. Minor throat pain, irritation and itchiness can be a common concern, especially during the winter, when seasonal viruses abound. What can you do besides gargle with warm salt water and use over-the-counter products? Well, a natural option can be found among homeopathic formulas. BHI offers a homeopathic formula called Sore Throat Relief that seeks to temporarily relieve a sore, scratchy and irritated throat. 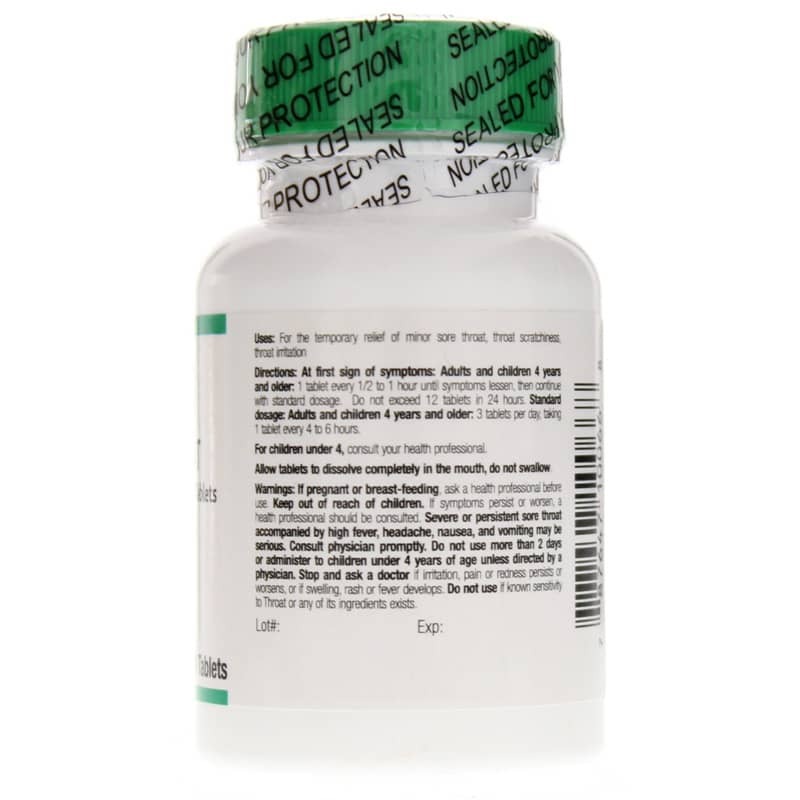 These tablets are intended to be completely dissolved in the mouth, not swallowed. Be sure to consult a healthcare provider for use in children under four. It is best to store this bottle where it is protected from moisture and light. 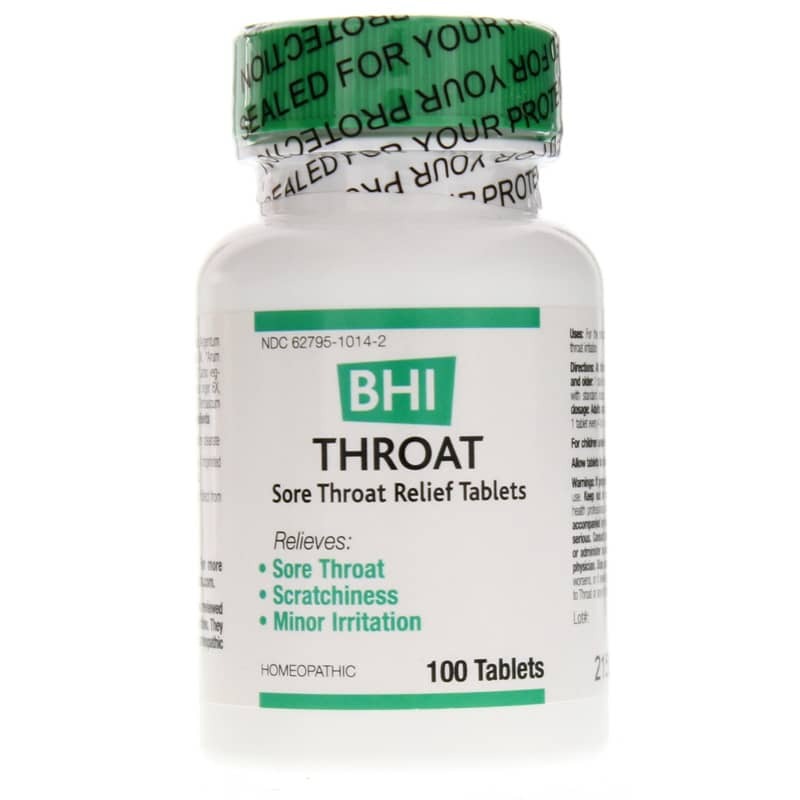 If you're looking for a homeopathic formula that seeks to temporarily relieve a sore, scratchy and irritated throat, consider BHI's Sore Throat Relief. Order online today! Adults and children 4 years and older: 1 tablet every 1/2 to 1 hour until symptoms lessen, then continue with standard dosage. Do not exceed 12 tablets in 24 hours. 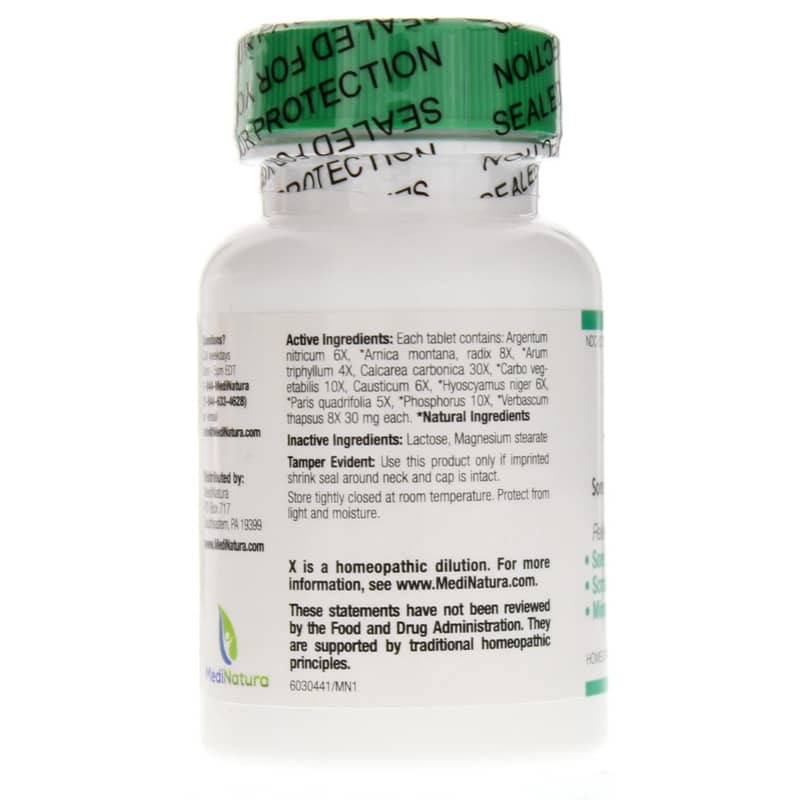 Adults and children 4 years and older: 3 tablets per day, taking 1 tablet every 4 to 6 hours. For children under 4: consult your health professional. If you are pregnant or nursing, please consult your healthcare professional before using this product. Keep out of the reach of children. If symptoms persist or worsen, contact a licensed practitioner. Severe or persistent sore throat accompanied by high fever, headache, nausea and vomiting may be serious. Consult physician promptly. Do not use more than 2 days or administer to children under 4 years of age unless directed by a physician. Stop use and ask a doctor if irritation, pain or redness persists or worsens, or if swelling, rash or fever develops. Do not use if known sensitivity to Throat or any of its ingredients exists.